Who isn’t looking to save some money nowadays? Has inflation got you down? 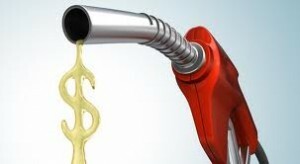 Is the ever-soaring price of gas making you uneasy? Are increasing cigarette prices making you reconsider your habit? Whether you are a smoker, or especially one who drives a car, you are probably trying to save as much money as possible! If you find yourself in this boat, e-cigarettes may be the right alternative for you. While other sources are draining your cash flow, electronic cigarettes are enormously cost-effective, and are a much smarter way to smoke. The freedom is incomparable. With tobacco cigarettes, the costs mount quickly. Most smokers feel entitled to smoke entire cigarettes every time they desire the nicotine, and considering how pricey a single pack is, it can feel wrong to waste any. This leads to more cigarettes being smoked in the long run, and comes out to a higher cost. And then there are the related costs which can get overlooked: lighters, ash trays, perfume or cologne to mask the odor, gums and mints to conceal the tobacco breath, and then the continuous string of expenses that come into play because of the toll cigarettes take on the health. E-cigarettes eliminate all of this. The benefits of e-cigs are endless, and there are really so many that it can be hard to believe people still continue to smoke tobacco. When you add up all the positives, in addition to all of the economical reasons, e-cigs are every smoker’s dream come true. First of all, you can smoke them anywhere you like, indoors or outdoors, in public or private, amongst nonsmokers or in a group. They have no ill effects on the health, do not pollute, and do not inconvenience anyone around you. Just want a couple puffs, not a whole cigarette? With e-smokes, you’ve got the option to smoke as much or as little as you want, without wasting. Electronic cigarette accessories allow them to fit perfectly into anyone’s lifestyle. The “cigarette” you smoke from is reusable, and you will not be replacing it continuously. Nicotine comes in cartridges, and they are wonderfully cost effective; purchasing in bulk can equate to paying $1.41on a pack of regular cigarettes! All in all, a much more intelligent smoking option! 12 Days of Christmas with South Beach Smoke! Happy New Year from South Beach Smoke!